All Instruments is a piece initiated by Sarah Ludi, one of ZOO’s founders and main dancers. All Instruments brings together a dancer, two musicians and a visual artist. The four performers wanted to be equal in influence from the creation process to the stage. 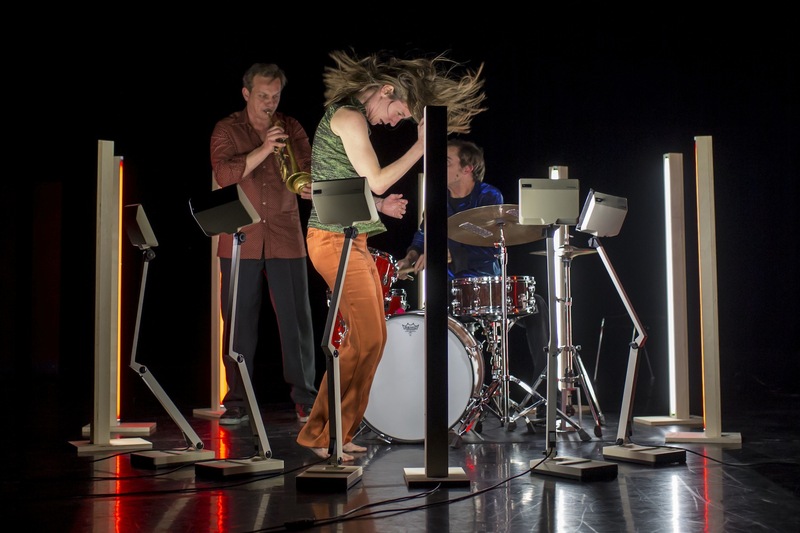 Dance, trumpet, drums and lights are all the instruments of a partly improvised writing, triggered by impulses and influences circulating from each medium. All Instruments is not a dance solo but a group piece, an improvised trio with light as a fourth instrument – a form constructed like a theatrical show, but retaining the energy of a concert.